Young girls aged 10 to 13 often go through an awkward and confusing phase of their lives. They are no longer children but are not yet full-fledged teenagers. 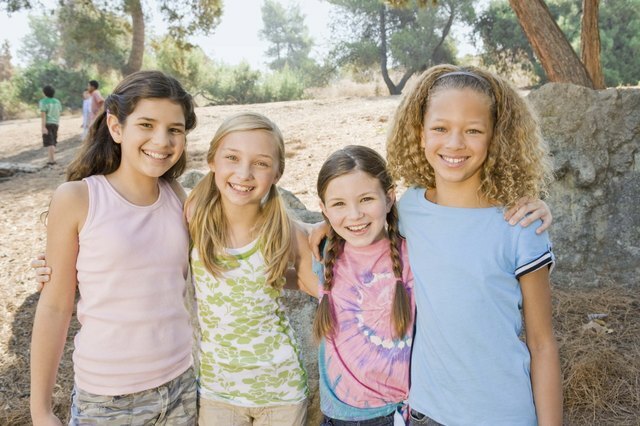 In this transitional phase, tween girls are trying to figure out who they are, bit by bit. As parents, let your young girls express themselves without growing up too quickly. There is such a thing as “age inappropriate hair.” Many options are cute, easy to maintain, and appropriate for tweens. With young girls constantly on the go from school to friends' houses to after-school activities and clubs, hair maintenance should not be high on their priority lists. One option for low-maintenance but stylish hair is a medium-length bob. Beauty-and-the-bath.com notes that if a hairstyle is too complicated and complex for your girl's thick hair, it will look like a ratty mess by the end of the day. For tween girls with healthy, thick hair, a bob is a simple haircut that looks good on a variety of face shapes. Bobs are typically longer in the front than in the back, cut asymmetrically. A medium-long length bob gives a girl the option to pull it up in a ponytail, which is ideal for the young athlete. It is a simple and low-maintenance haircut that is easy for your tween to style herself. All she needs is a hairdryer and a round brush to help give the style both volume and shape. A good style that works with most face shapes is a layered look with long, (not cut straight across) wispy bangs. The bangs can help hide pimples on young girls’ foreheads. With longer bangs, she can use a decorative barrette or bobby pin to pull the bangs to the side, off the face. She can also wear a headband to hold her bangs back as well. No matter the length of the haircut, have the stylist cut shorter layers in the front that frame the face. 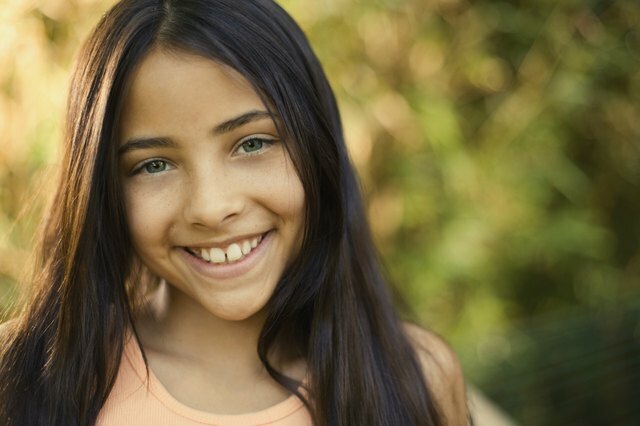 As long as the haircut is not too short, your tween can pull her hair back into a ponytail at a moment’s notice. The only styling tools she needs is a brush and a hairdryer and possibly some hairspray for those pesky fly-away strands. This is a versatile hair style that girls of all ages should be able to easily maintain. While hairstyles come and go in the tween years, one that has spanned generations is long, straight hair. Part your girl’s hair down the middle, and allow the hair to fall straight down. You can use a curling iron for some light curling of the ends, for a more polished look. This hairstyle is easily adaptable and changeable; it can be turned into a ponytail, bun or braid without much effort. It also works well for all hair types. “Age Inappropriate Hair: What Do You Think?"